$7500 price reduction - Bring your Buyers now!! 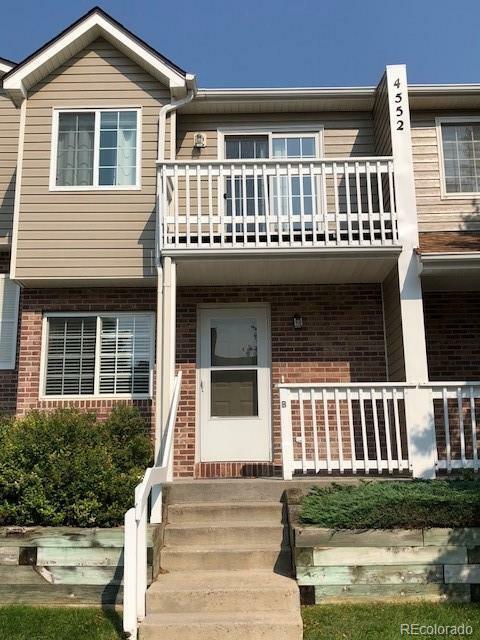 Welcome to this lovely 2 Bed/3 Bath multi-level home. Roofing & vinyl siding all replaced within last 2 years and complex looks great! Dual master suites on upper levels - both with full baths. Great size kitchen with granite tile counters, kitchen island, plenty of dining space for table, all kitchen appliances including refrigerator, dishwasher, microwave, stove/oven/range. Living room area has niche area that is perfect for desk area or whatever you'd like to make it. Basement is finished with 3/4 bath and extra space (rare for these units) - perfect area for overnight guests to have their own space. Large crawl space. Back patio area large enough for grilling & outdoor eating! Very close to Cherry Creek State Park, as well as RTD buses/lightrail. Better than rent - so come quickly, cause it won't last!